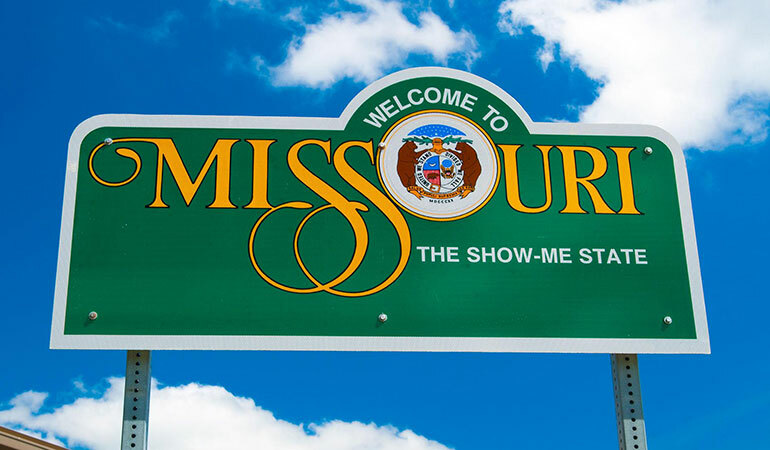 Missouri may become the most 2A-friendly state in the union. One of the biggest issues facing freedom-loving Americans, as well as those in favor or less government involvement in their daily lives, is that of state’s rights. And few issues are more demonstrative of the effects of overreaching federal government than that of firearms legislation. From the original 1934 National Firearms Act, to the most recent ban on bumpfire stocks, the Federal government has a long history of domineering the opinions of a select few on the entire nation. This, in spite of the 10th Amendment. “The powers not delegated to the United States by the Constitution, nor prohibited by it to the States, are reserved to the States respectively, or to the people.” - 10th Amendment of the Constitution of the United States of America. In more common parlance, means that any power not specifically outlined or given in the Constitution, belongs to each individual state. Effectively preventing the federal government from having total power over the nation. For the most part, the federal government respects this Amendment - except for political issues that it disagrees with. This, unfortunately, has seen the 10th Amendment lose its teeth in the eyes of various politicians. Though as is the case with the majority of those on the far left, these politicians are happy to embrace the 10th Amendment when it suits them politically. For example, the recent wave of marijuana legalization across the nation despite still being federally prohibited and the legalization of homosexual marriage (and consequential re-defining of the term, though these political hacks have a long, sordid history of playing it fast and loose with the English language to fit their agenda. 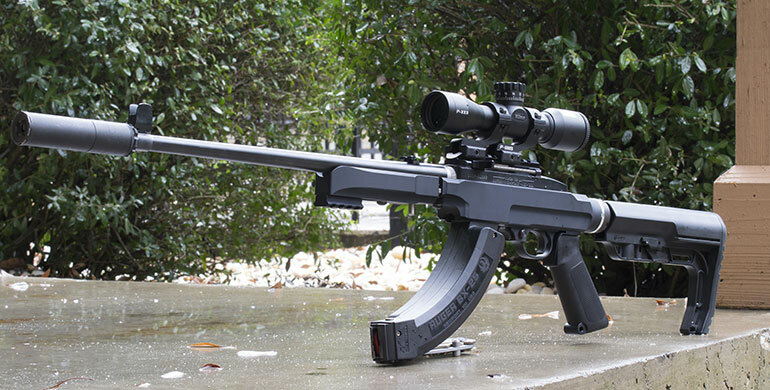 See: Assault Weapon.) in years past. Control the vocabulary, control the narrative. Gun grabbers invented the term Assault Weapon to help galvanize support behind banning common semi-automatic firearms. There’s even a full Wikipedia page concerning this fabricated, dishonest term. One of the few positive side effects to these infractions and bending of the laws, is that it has apparently opened the floodgates to certain states to protect the Constitution and its original intent. In fact, both Montana and Kansas passed their own acts protecting their citizens from various Federal firearms restrictions. The Montana Firearms Freedom Act and Kansas’ Second Amendment Protection Act (SAPA) both seek to exclude items produced in-state from federal regulation. While this may sound unprecedented to the average American, the roots of both pieces of legislation are firmly planted constitutional law. This is primarily because nearly all examples of federal firearms legislation are applicable because of their jurisdiction over issues based on interstate commerce. That was the biggest driving factor behind the Second Amendment Protection Act set forth by Kansas lawmakers. In their example, they stated that any firearms or firearm accessories built in Kansas for use in or sale in Kansas weren’t subject to federal intercommerce legislation since they never left the state. Despite solid legal footing, judge J. Thomas Marten of the U.S. District Court in Kansas disregarded this act when they ruled against Shane Cox and Jeremy Kettler in May of 2016. In this case, Cox sold a suppressor to Kettler from his military surplus store stamped, “Made in Kansas” based on his understanding of SAPA. He also included a copy of the Second Amendment Protection Act with each suppressor sold. Despite this, more states have passed similar legislation attempting to curtail federal legal power over firearms. The most recent example came just a few days ago, when Missouri proposed HB786. This piece of pro-gun legislation is designed to augment two previous bills, SB613 and SB367, and is written to restrict state agencies, and their employees from enforcing any federal legislation that infringes on the Second Amendment. 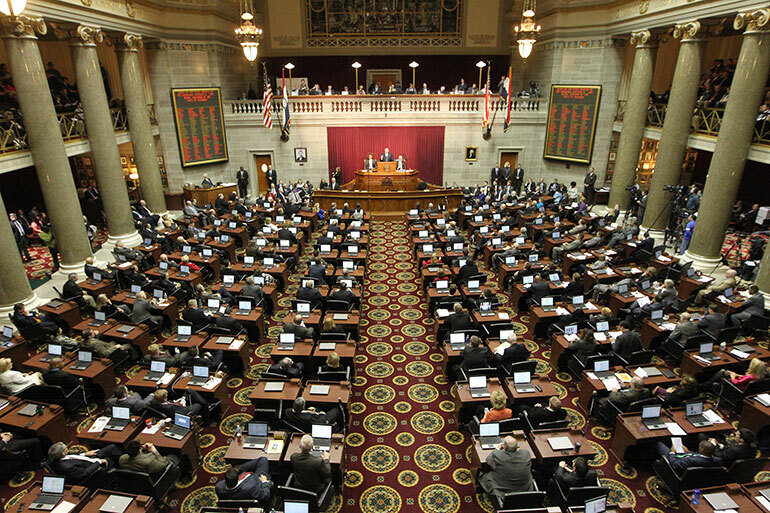 The Missouri House of Representatives. Whereas previous pro-gun state’s rights legislation concentrated purely on absolving citizens of legal ramifications should they run afoul of unconstitutional federal gun laws, this new piece is more proactive. By restricting local agencies from enforcing these laws, they effectively remove the federal government’s ability to implement them. Text from the bill is below. That clause doesn’t leave much room for interpretation; it’s very cut and dry. Which is ideal with most legislation, but especially so with firearms. Afterall, the founding fathers couldn’t have imagined that politicians two centuries later would want the Second Amendment to only apply to certain firearms. After all, at the time of the Constitution’s framing, it was legal to own ships of war and even cannons. Furthermore, the authors of SB367 / HB786 further clarified which types of federal gun laws were subject to these acts. This has enormous implications. It sets a very real precedent for states to pass their own legislation allowing their citizens to ignore unconstitutional federal laws. In an effort to get a better, more thorough understanding of these implications, as well as the impetus behind HB786, Firearm News reached out to Representative Jeff Pogue [R] who sponsored the latest bill. While Rep. Pogue was currently out of office for Spring break, his legislative assistant, Steve Collars made a few comments on his behalf. 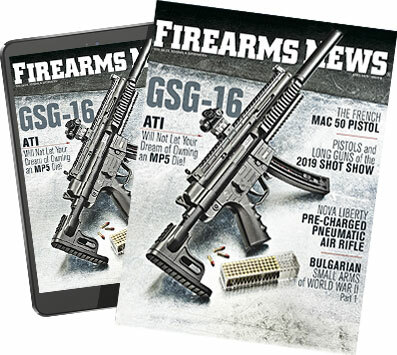 Firearms News: What was the driving factor behind the introduction of HB786? Firearms News: Do you believe the Governor will sign the bill? While Firearms News requests additional information on Pogue’s latest legislation - specifically concerning how HB786 will affect the NFA, he declined further comment stating he couldn’t speak at further length on behalf of Rep. Pogue. NFA-restricted items like the author’s Innovative Arms SlingShot Ti suppressor (provided by SilencerShop) may no longer require a $200 tax stamp as a result of HB786. Though building one without a tax stamp could also land shooters in prison for several years. Still, this is a good sign for gun owners and those in favor of both the Second Amendment and state’s rights. Afterall, not only does HB786 prohibit state law enforcement from enforcing federal laws that run contrary to the Second Amendment, it even outlines penalties for federal officers who try to enforce them unlawfully. While this isn’t necessarily a slam dunk case fully dissolving the 1934 NFA, Gun Control Act of 1968 and all unconstitutional federal restrictions on the Second Amendment, it is still immensely important. It demonstrates that several states aren’t willing to simply roll over for federal law enforcement, and that unconstitutional anti-gun measures won’t simply be accepted. Hopefully, more and more states will adopt similar legislation to finally put a much-needed collar on an out of control BATFE and DOJ hell-bent on crippling the Second Amendment.